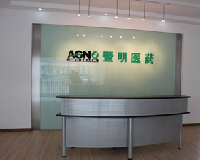 Agno Pharma provides services to over two hundred customers worldwide from two locations, Suzhou and Lianyungang. 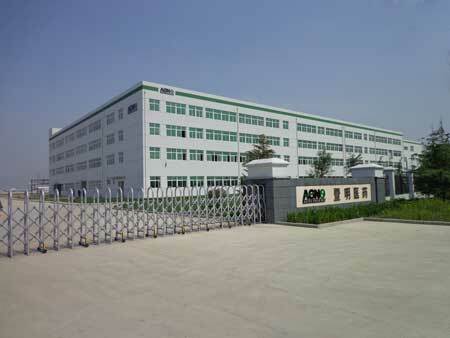 Our wholly-owned R&D center is located in Singapore Industrial Park (SIP), situated in the beautiful and historical city of Suzhou. Suzhou city belongs to Jiangsu province and borders the city of Shanghai. Suzhou city is one of eastern China's largest cities and is also China's top ten key tourist cities. SIP was awarded the "high-level overseas talents innovation base". Our R&D is led by US PhD returnees with more than ten years of US pharmaceutical R&D experience. 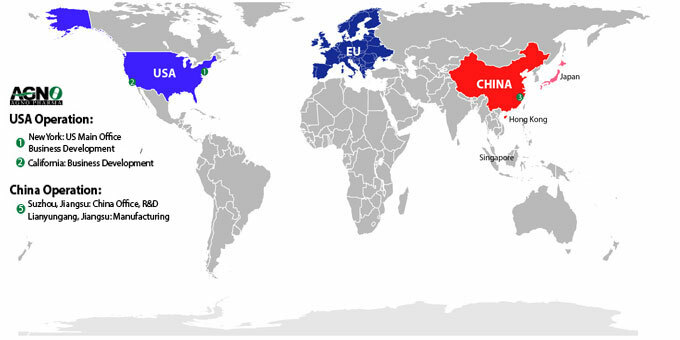 We have over sixty R&D chemists, equipped with top-notch analytical instruments such as NMR, HPLC-MS, and GC-MS. This allows us to provide timely and quality services to our numerous clients. 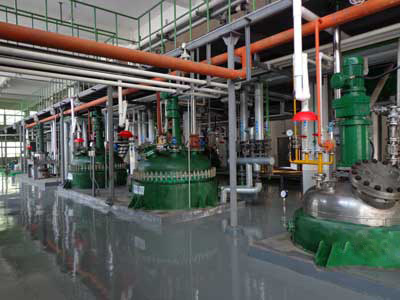 Our R&D is equipped to perform mg-scale to tens of kg-scale synthesis with a temperature range of –80 ºC to 300 º C, and reactor size up to 100L. 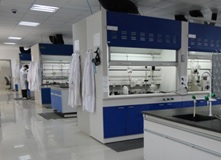 Our R&D center is currently located in a 12,000 m2 facility, equipped with more than forty regular hoods and ten large floor-to-ceiling walk-in hoods. 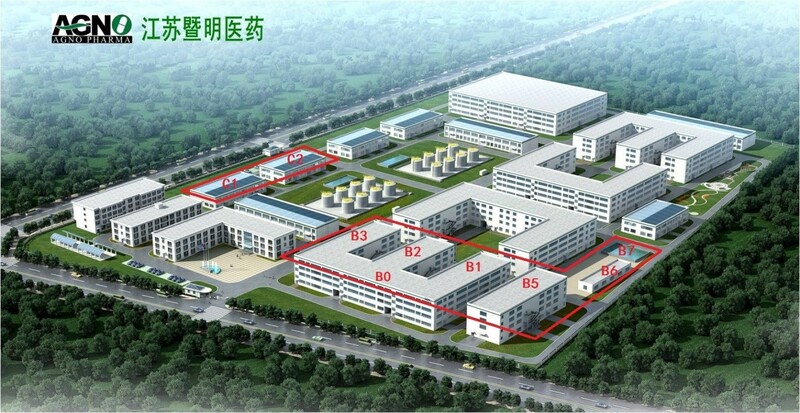 Our wholly-owned 108,000 m2 (~ 25 acres) ICH cGMP pilot and US-FDA Approved, ISO 9001, ISO 14001, & OHSAS 18001 Certified GMP API manufacturing facility is located in the beautiful seaport city of Lianyungang, Jiangsu province, the People's Republic of China. 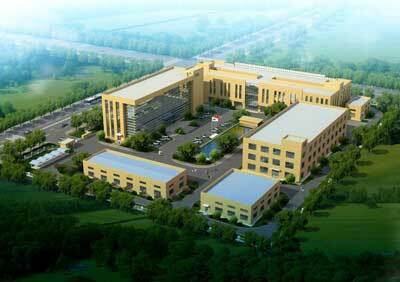 Lianyungang is the pharmaceutical manufacturing center of Jiangsu province. Lianyungang has one of the largest seaports in China and this allows us to ship our products to our clients in a timely and cost effective manner. Our manufacturing facility is strictly managed under ICH cGMP, to ensure we provide quality products to clients using equipment of known history and cleaning records. Our pilot and production manufacturing facility is equipped with reactors ranging from 50 L to 5,000 L, both SS and GSL, and with a temperature range from –80 ºC to 250 ºC. 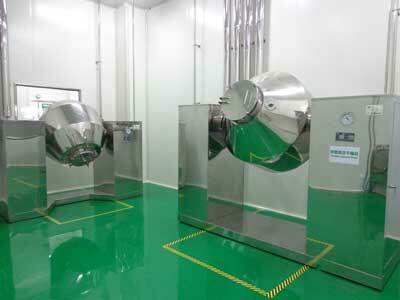 In addition, we have hydrogenation reactors with capacity of up to 2000 L. Furthermore, we have dedicated high potency suites for highly potent and cytotoxic APIs.